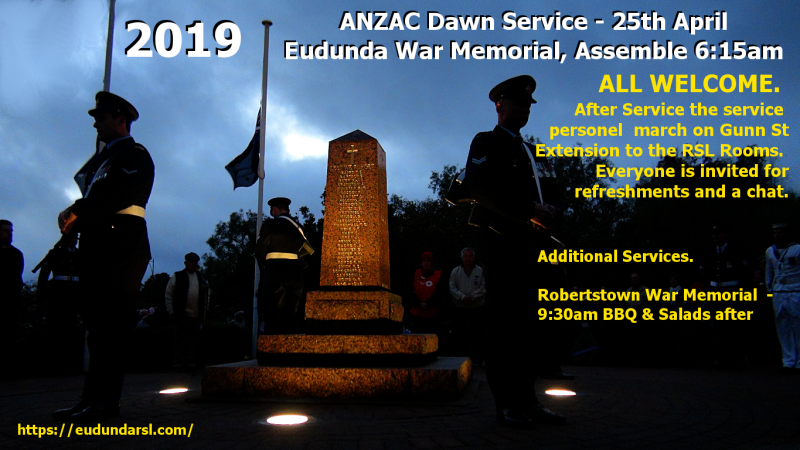 The Eudunda Dawn Service is always well attended and everyone is welcome to come. from the Eudunda War Memorial to the Eudunda RSL Rooms. Refreshments will be available at the RSL Rooms, so come and have a chat.